Military inspired tactical gaming. Book your next group event with us! Go on patrol with or against your mates. Who will make it out alive? Join our Junior League for under 18 players and compete against your peers! We combine airsoft play with military live action role-playing elements. Come and life the dream; Rambo for the day! 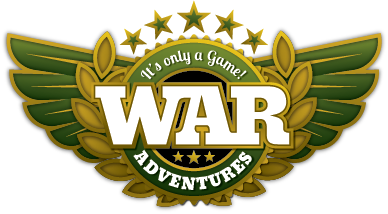 WAR Adventures offers events for Corporate Groups and Social Clubs. Perfect for Team Building, Leaving Parties or just for fun! WAR Adventures caters for Birthday and Stag Parties. The games are a great way to spend a few hours or even a whole day with your mates. Under 18? Enquire about our Junior League games. These a fun, fast paced and shorter than the local club games. Ready for all day mil-sim gaming? Join our WAR club, (Westcoast Airsoft Ranger). Membership offers many advantages!